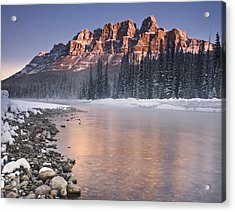 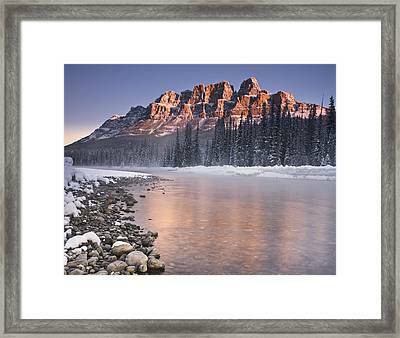 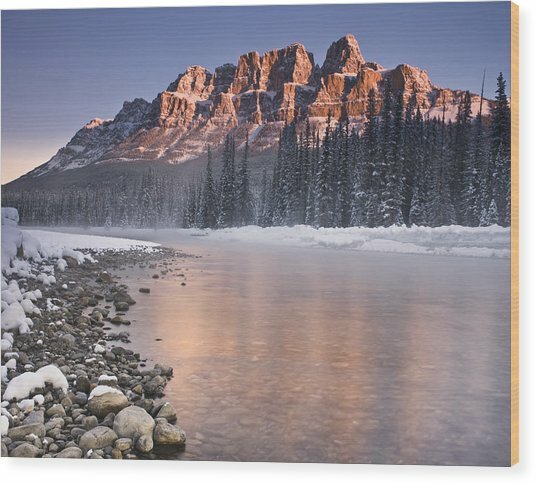 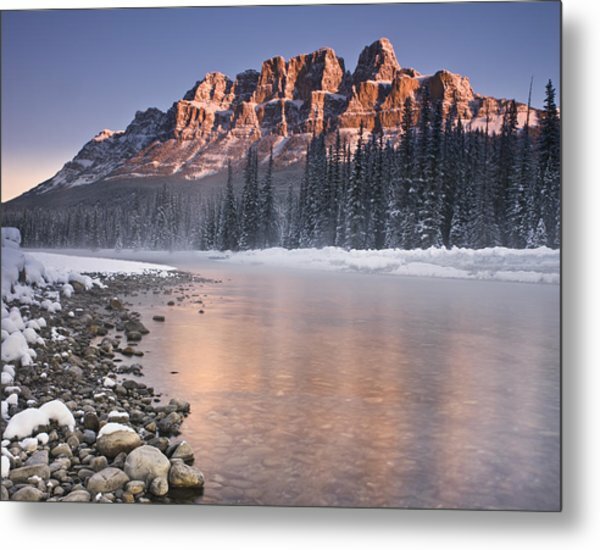 Castle Mountain And The Bow River is a photograph by Richard Berry which was uploaded on November 29th, 2014. 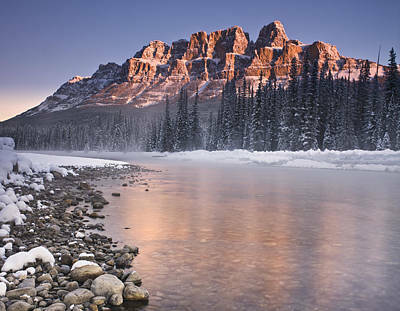 It took me six years of repeated visits to Castle Mountain to make this photograph. 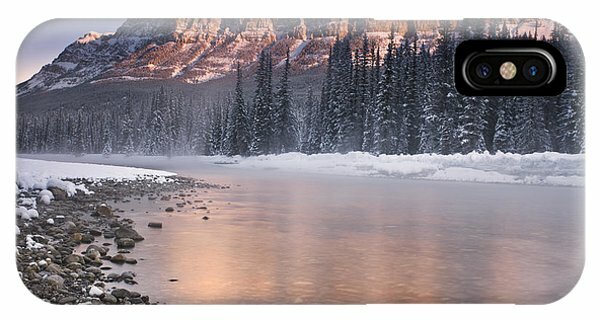 This was taken on a very cold morning (-18C) and although the location is literally 15 metres from the road I had to wear snow shoes and hike down to the river. 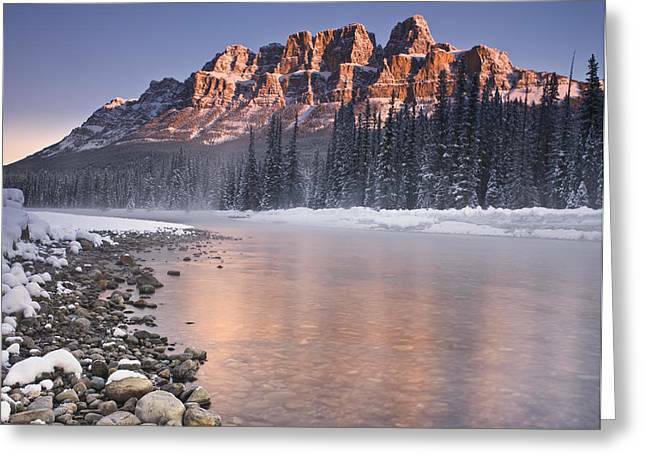 WOW - 6 years paid off - magnificent photo!